It seems to happen all the time – a deadline is approaching or an email urgently needs to be sent when, out of nowhere, your computer faults at the worst possible time. 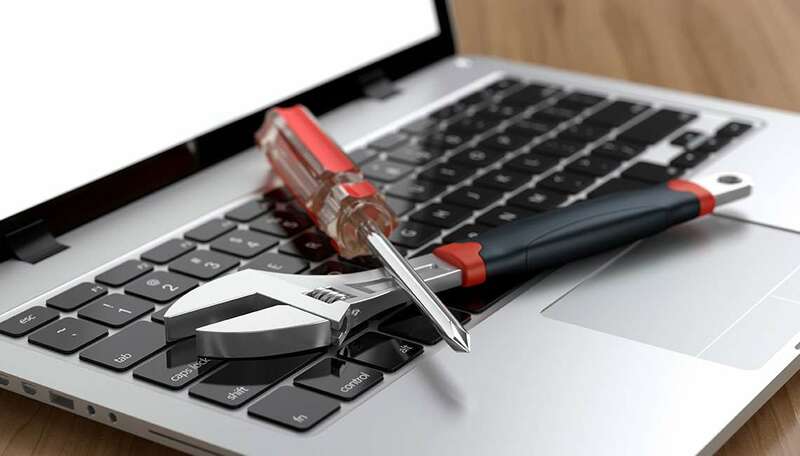 However, as the computer faults become consistent, is the answer to buy a new laptop or a PC? Well, at Arc Systems, we are taking a look at some of the common computer problems and their repair solutions. Arc Systems are always happy to help our customers with their IT solutions, however, there are some simple things you could try when it comes to the most common problems. A computer that suddenly shuts off or has difficulty starting up could have a failing power supply. Check that the computer is plugged into the power point properly, if that doesn’t work, test the power point with another working device to confirm whether or not there is adequate power. When your computer freezes, you may have no other option than to reboot and risk losing any unsaved work. Freezes can be a sign of insufficient ram, registry conflicts, corrupt or missing files, or spyware. Press and hold the power button until the computer turns off, then restart it and get to work cleaning up the system so that it doesn’t freeze again. Obviously if you are unsure, don’t try and fix it without any previous experience or know-how. With computers you could potentially make the problem ten times worse and even may not be able to recover the computer at all. Arc Systems offer a number of IT Support packages that are tailored to offer flexibility in your response times for your users and technology with cost effective solutions starting with our top tier support that includes all PARTS and labour, provided 24/7/365. Find out more about our support packages by visiting the Arc Support section of our website, by clicking here.